"Many of my patients are as young as five years old. 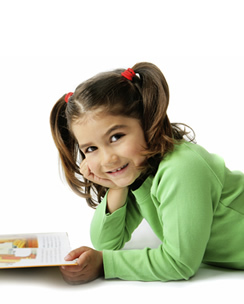 Rest assured, your child will be in very skilled and caring hands." In the majority of cases, it is important to begin orthodontic treatment at a young age, so please don’t feel as if you have to wait until your child’s teeth have all appeared. Many of my patients are as young as five years old. Rest assured, your child will be in very skilled and caring hands. I will begin by telling them a story, the magic story of their mouth, so that they feel safe and happy about their treatment. If your child is older than 12 years, they will probably want to have the same kind of brace as their friends at school, and this is an effective way of encouraging them to feel positive about their treatment. Even teenagers, who may feel very self-conscious about wearing a brace, can soon warm to the idea. That’s why I spend time with my young patients and talk to them in a way that’s relevant to them. I soon find the angle, or trigger point that can help them to embrace their treatment.